Bicycle sharing stations, such as this one in Palo Alto, could be coming to key locations in the North Bay next year. Bicycle sharing hubs could be installed at central points, from Santa Rosa to Larkspur, under a bi-county proposal being submitted to the regional Metropolitan Transportation Commission. Bruce Robinson takes a look ahead. 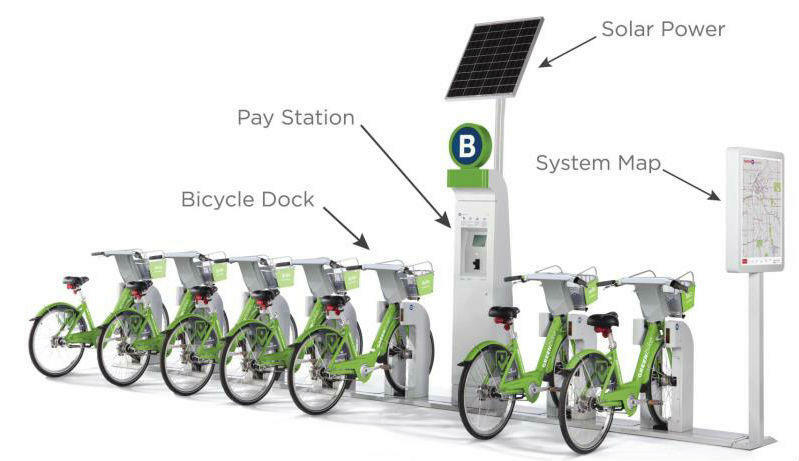 Bike Share docking stations come in a wide range of colors and configurations, but many include the basic elements shown here. Details about how the program will work will depend on which one of several vendors is selected to operate it for the counties. But Bjorn Greipenberg of the Marin County Bicycle Coalition says there are two primary models currently in use. 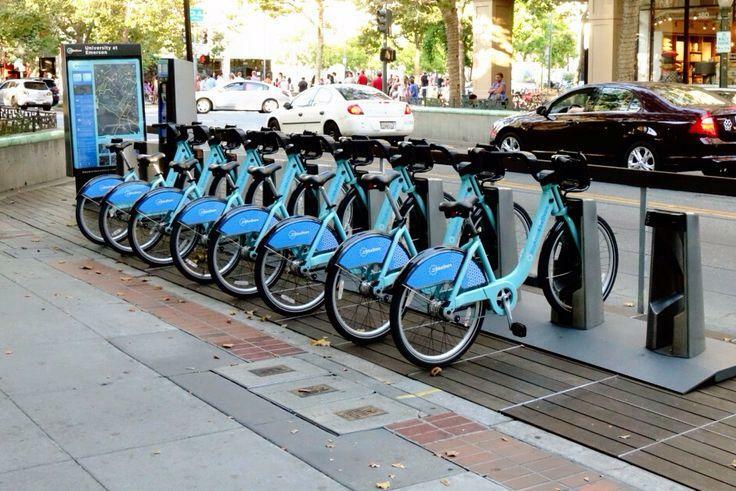 The official launch of the MTC-sponsored bike share program in San Francisco is set for Wednesday morning.